We are no strangers to discussing good brunch options. But I’ve walked by this sign at Wonderland (11th and Kenyon) many times and it occurred to me that I’ve never actually had brunch there. I’ve had some tasty quesadillas but never had the waffles. 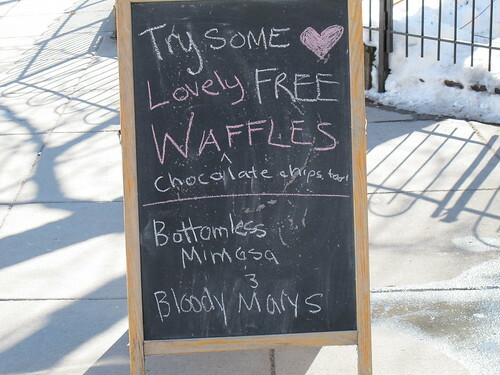 So I’m intrigued by the idea of free waffles. How are they? How’s the brunch in general?